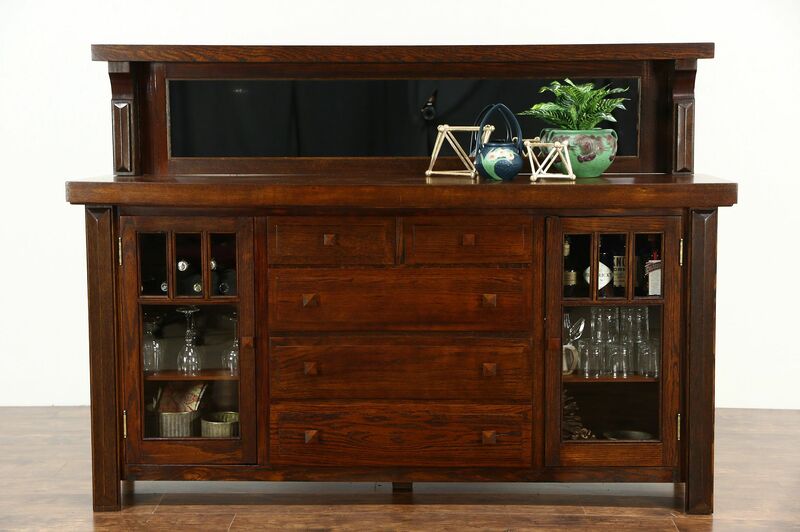 An Arts and Crafts or Mission Oak period sideboard, server or buffet is solid oak from about 1910. The restored deep finish is in excellent condition on this American made antique furniture. The gallery and mirror are removable for delivery. Doors have original wavy glass, shelves are adjustable. Size is 76 1/2" wide, 20 1/2" deep and 55" tall, the serving area is 39" tall.